The Hollywood star is understood to have died of a heart attack at a hospital in Cairo, where he was resting after being diagnosed with Alzheimer's disease. In May it emerged that the Egyptian-born actor had been suffering with the illness and was struggling to remember anything about his hugely successful career. The 83-year-old actor’s agent Steve Kenis confirmed the news to AFP after the actor’s son Tarek Sharif revealed the diagnosis in an interview with Spanish newspaper El Mundo on 23 May. Tarek confirmed that his father only remembered that he was a “famous actor” but had difficulty remembering the details of his roles and his co-workers. The Egyptian-born actor came in the limelight for his charismatic good looks and rose to international stardom with his role in the 1962 epic Lawrence Of Arabia, his first English-language film. He later went on to star in blockbuster Dr. Zhivago (1965) based on Boris Pasternak’s novel of the same name, and in The Far Pavilions, a television mini-series based on M M Kaye’s novel set in pre-partition India. It was not an easy time for such a big star to lose his memory who remained whole life in limelight. Indeed anyone who suffers such disease just not only feels confusion for himself but his family also been through the same. 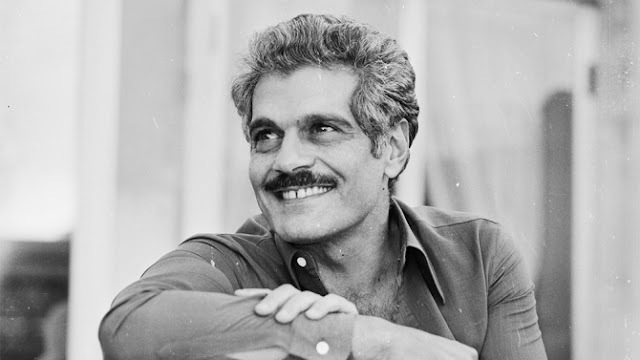 He was considered one of the biggest Egyptian actors who made their way to Hollywood and had a successful career. He was born in a catholic family but converted to Islam for the sake of his love.